Build scans can now be enabled in the preferences. 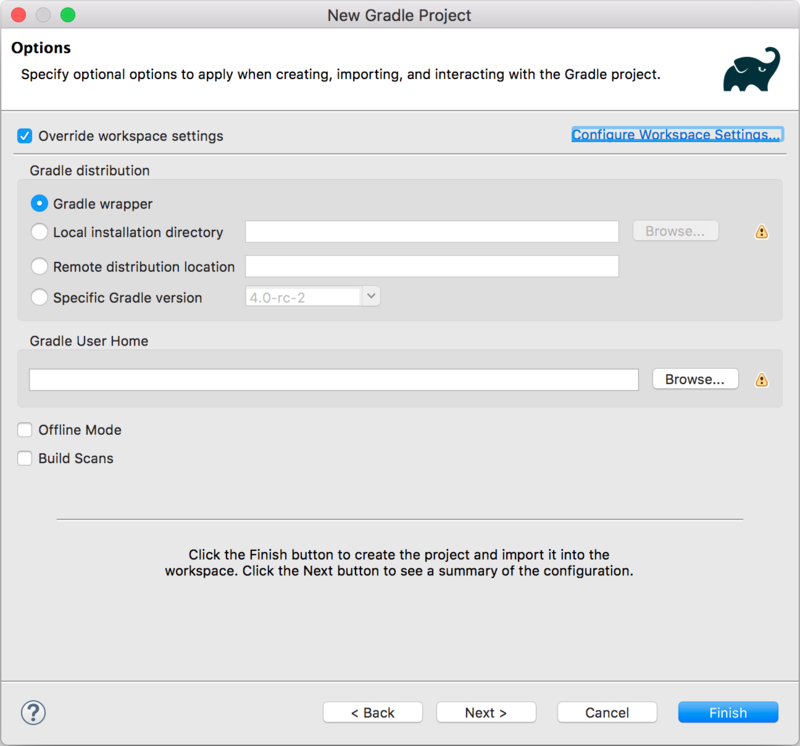 If enabled, and the target project applies the com.gradle.build-scan plugin then each build invocation will publish a scan. To access the scans more easily, the URLs in the console view are turned into clickable link. Besides, the Executions view contains a new toolbar action to open published build scans if there's one. 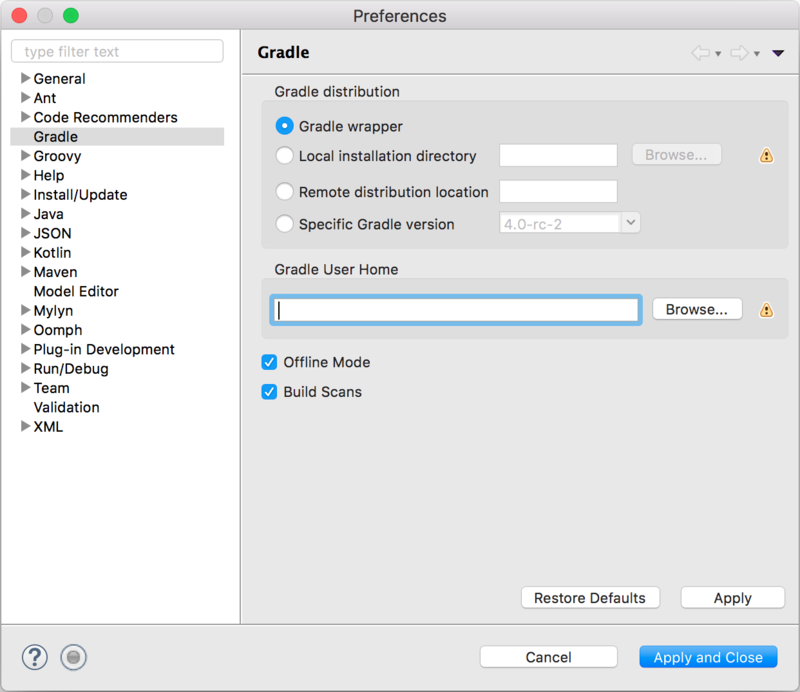 Buildship now provides all preferences, like Gradle distribution, user home and offline mode on three different levels: For the whole workspace, for a specific Gradle build or for an individual run configuration. The lower levels can override the settings in the upper levels. 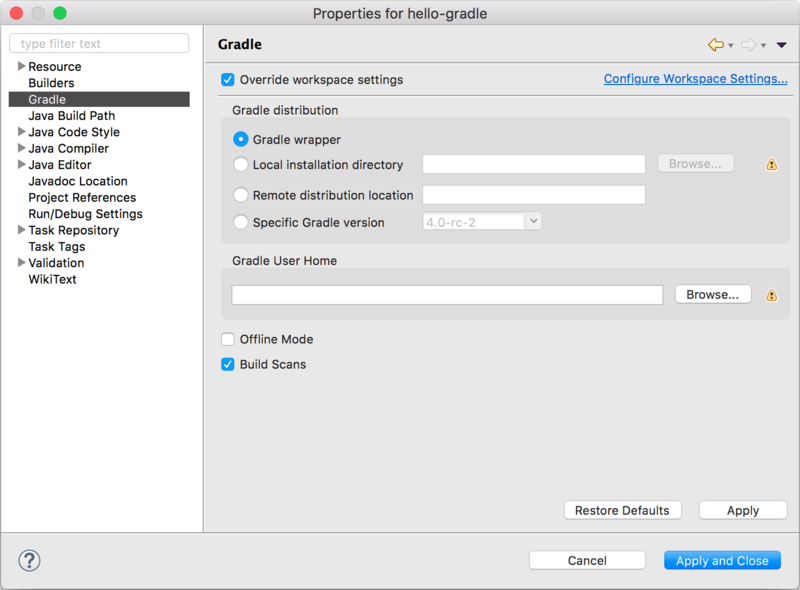 Please note that the Gradle user home and the local Gradle distribution location are stored as absolute paths. 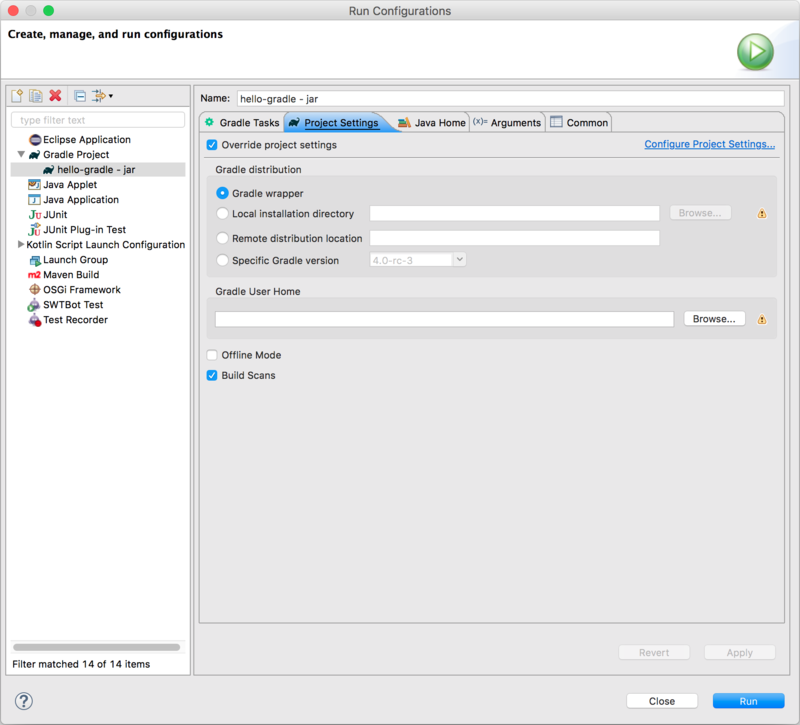 This means if you specify them, then the generated configuration file should not be shared. To make this behavior clear we marked those preferences with warning icons. 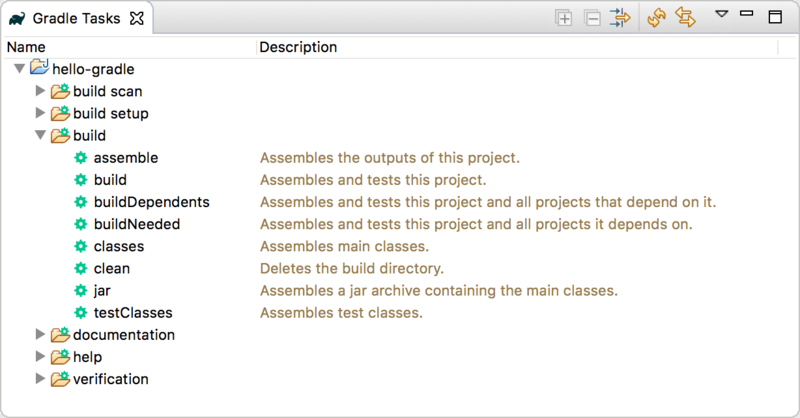 Users repeatedly reported that the columns in the Tasks and in the Executions view are not wide enough and it's hard to find the `Show Headers` option in the view's context menu. Thus, we removed the option and now show the headers by default. 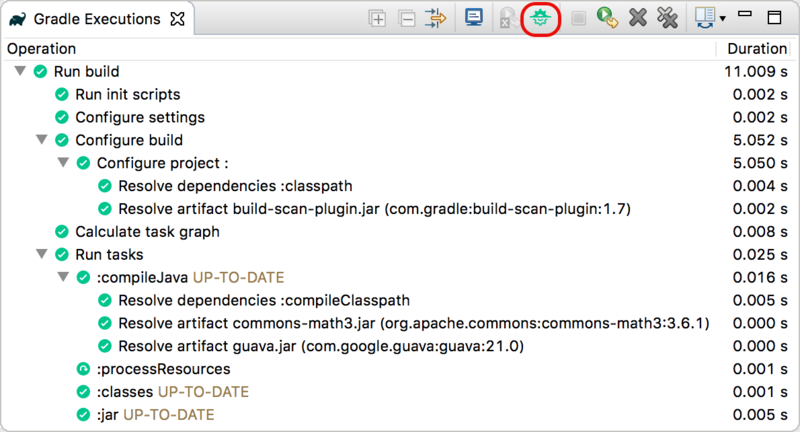 You can try the latest snapshots and milestones available on the eclipse.org update sites.